Researchers reviewed 33 studies published over a span of 20 years to identify risk factors and symptoms of intracranial hemorrhage in patients with hemophilia. 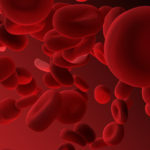 Intracranial hemorrhage (ICH) remains the most serious bleeding event for patients with hemophilia A and B, with a mortality rate of approximately 20%, according to a new report published in Blood Transfusion. The authors reviewed 33 reports on ICH in hemophilia A and B that had been published between January 1998 and June 2018 and were available through MEDLINE. Studies in adult patients were assessed separately from studies in pediatric patients. The authors concluded that ICH frequently occurs in children age 2 years and under and is often associated with delivery. The risk of ICH in newborns with hemophilia has been reported to be lowest with Caesarean section (odds ratio [OR] 0.34, 95% CI: 0.14-0.83) and highest with assisted vaginal delivery, which uses forceps or a vacuum (OR 4.39, 95% CI: 1.46-13.7), when compared with spontaneous vaginal delivery. Therefore, assisted vaginal delivery was recommended against. Genetic counseling was advised for pregnant women who are also hemophilia carriers. If hemophilia is confirmed in the fetus, a hemophilia expert should supervise the delivery to ensure proper care of the newborn. In children with moderate or severe hemophilia, prophylaxis should be started as early as possible. In adults with hemophilia, disease severity, traumatic injury, the presence of inhibitors, older age, and a previous ICH episode have been linked to ICH, as have infections (hepatitis C and HIV) and hypertension. However, even in patients with nonsevere hemophilia, spontaneous ICH has been reported with no additional risk factors. For adults without inhibitors, lifelong prophylaxis and evaluation of risk factors after an ICH episode were recommended. For adults with inhibitors, the authors recommended the use of bypassing agents at the onset of ICH symptoms and continuation of these agents or use of emicizumab after an ICH episode.